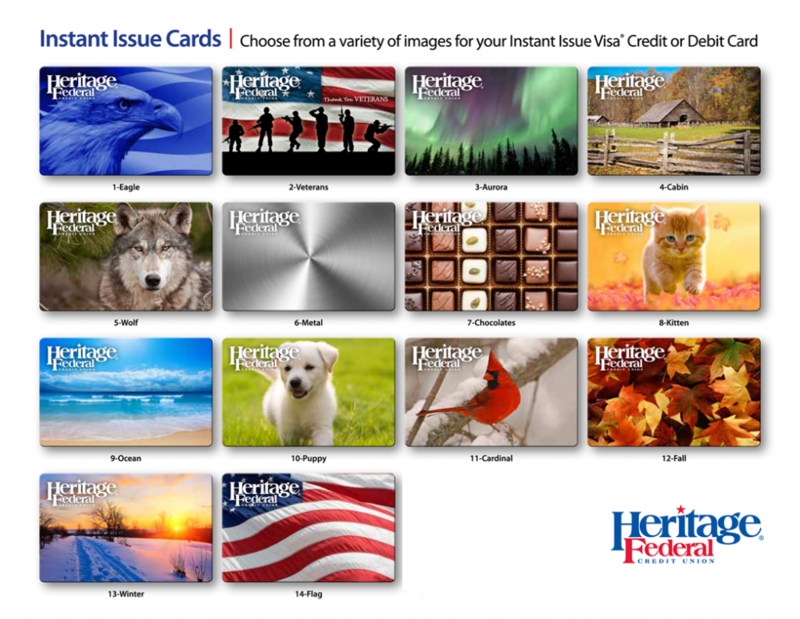 Credit Cards in an instant with Instant Issue Visa®. Need to finance an unexpected purchase or have access to funds in an emergency? Credit Cards used responsibly are a good way to build credit, finance small unexpected purchases or use for travel reservations, deposits on hotel rooms or rental cars. MyPreferred Visa: As low as 9.00% APR*. Credit limits from $5,000 to $25,000. MyPreferred +plus Visa: As low as 10.50% APR*. Earn reward points on all your purchases, credit limits from $5,000 to $25,000. MyChoice Visa: As low as 15.50% APR*. Credit limits from $500 to $25,000. MyChoice +plus Visa: As low as 17.00% APR*. Earn reward points on all your purchases, credit limits from $500 to $25,000. Sign in to the Online Banking and select “Card Controls” to note your card as lost or stolen. *APR= Annual Percentage Rate. Information is accurate as of 03/01/2019. Balance transfers may be subject to a fee up to 4.00% of the amount transferred with a minimum of $10. A cash advance fee up to 2.00% of the advance amount with a minimum of $10. On each foreign transaction, there is a fee of 1.00% of the transaction amount. The rate is variable and may change. The variable APR is currently between 9.00% and 17.00%. Qualification is based on an assessment of individual creditworthiness and our underwriting standards. All credit union loan programs, rates, terms and conditions are subject to change at any time without notice. Call us at (812) 253-6928 or toll free at (800) 858-1693 for current cost information.